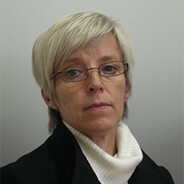 Professor Arja Häkkinen holds the Professorship in Clinical Physiotherapy, in the Department of Health Sciences, University of Jyväskylä shared with the Central Finland Health Care District, Jyväskylä, Finland. She has published ~180 international peer-reviewed research articles, and over 80 domestic publications. Her main research interest has been in understanding the functional and pathophysiological changes associated with musculoskeletal conditions especially in rheumatoid arthritis, osteoarthritis and back and neck disorders. In addition, she has investigated the effectiveness and health utility of various exercise interventions such as strength training aimed at both prevention and treatment. The methods used in rehabilitation need to follow and adapt to the fast development of medicine. Thus, generating the rehabilitation program for these patients has been carried out in multidisciplinary teams together with other specialties of medicine by combining research methods of physiotherapy, medicine, exercise physiology, biomechanics, science of sport coaching and fitness testing, nutrition and psychology. She finds it very important that the results of the scientific research projects can be implemented into serving and improving the clinical practice. Thus, she has also given a high number of presentations both in international scientific congresses and various seminars throughout the world.